If you live in North Korea, chance are that you will never get a chance to travel abroad and learn what life is like in other countries. Fortunately the North Korean government is aware of this problem and is doing its best to educate its citizens on how ordinary people live in places like America. Since I do not speak Korean, I cannot vouch for the accuracy of the translation, but I think you will find it entertaining. I would write more about this but it is time for me to go out and get my cup of snow to drink. Meet the man who plans to re-defect back to North Korea (nknews.org) I guess he doesn’t like his hot snow. Not that I am comparing President Obama to a crazy North Korean dictator, but I think this is an extreme example of the kind of thinking he showed when he made that famous statement. North Korean Olympian Om Yun Chol joined an elite list of weightlifters to have lifted three times their weight during the men’s 56-kg, group B, clean and jerk weightlifting competition at the London Olympics, and he has credited his world-record feat to late North Korean leader Kim Jong Il. Om won the gold medal in the process, and according to him, it was all thanks due to their late ‘great leader’. The 20-year-old Om, who stands just a shade under 5 feet, also set an Olympic record when he cleared 168 kilograms (about 370 pounds) in the clean and jerk in the men’s 56-kilogram (about 123 pounds) category. “How can any man possibly lift 168kg? I believe the great Kim Jong Il looked over me,” CBS quoted Om, as saying. Double world champion and pre-competition favorite Wu Jiangbiao of China had to settle for the silver medal while European Champion Valentin Hristov of Azerbaijan got the bronze. Om cleared 160 and 165 kilograms in his first two attempts and got the crowd even more riled up when it was announced he would go for the Olympic mark. Om then confidently bent to grab the bar and, after securing it at his shoulders on the clean, executed a powerful and steady jerk above his head. “I am very happy and give thanks to our Great Leader for giving me the strength to lift this weight. I believe Kim Jong Il gave me the record and all my achievements. It is all because of him,” Om said. North Korean athletes habitually heap praise on their former leader, Kim, and when weightlifter Pak Hyon Suk won the women’s 63-kilogram division in Beijing four years ago, she said she was ‘overjoyed’ by the fact that she had brought joy to Kim. If you are not responsible for your own successes, than the state must be, and since the Dear Leader is the embodiment of the state it is only right to credit him. You probably know that Kim Jong-Un is the newest leader of North Korea, having inherited the position from his father the Dear Leader Kim Jong-il. What you may not know is that the young Kim is a genius with super mental powers. Here is the information in the Washington Post. Kim Jong Eun, according to propaganda described in a recent Chinese magazine article, learned to drive at age 3. By 8, he could safely maneuver dirt roads at 75 mph. As a teenager, he mastered four foreign languages. He is now learning three more. The emerging biography of North Korea’s new leader, considered fictitious in nearly every country but his own, portrays him as the ultimate quick study, a poet and a marksman, an economics whiz and a military strategist. North Korea is lucky to have a great man like him as their leader. Of course he is not an enlightened being like our own Dear Leader. But then you can’t have everything. By the way, that was from a column written by a Mark Morford back in 2008. I wonder if he is embarrassed by what he wrote. Judging by his more recent columns, probably not. This is wonderful news to start off the day. 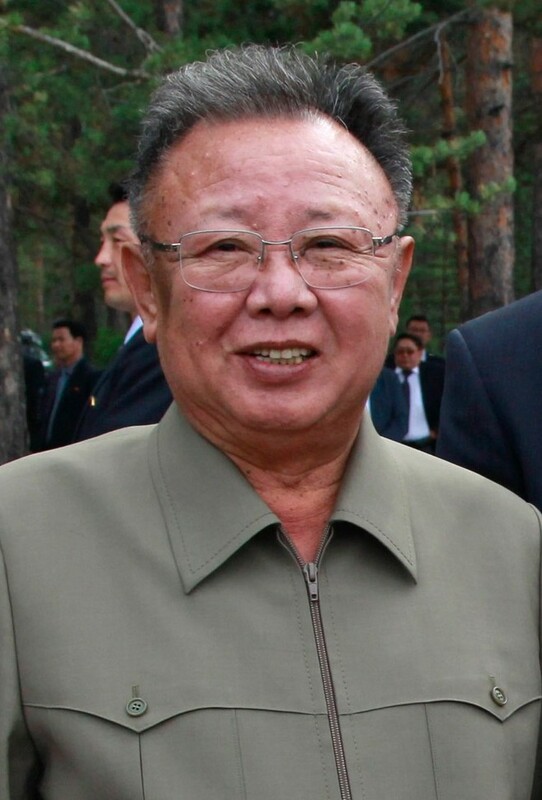 North Korean dictator Kim Jong Il has departed this life and taken up residence in Hell. I wonder whether the seventh circle, first round (the violent and tyrants) would be appropriate for him, or the eighth circle, eighth pit (evil counselors). Unfortunately, the evil regime in North Korea is still in power, for now. Kim’s son Kim Jong-un will be taking over as “Great Successor”. But, maybe the long suffering of the North Korean people is nearing its end. Why in the world would anyone want to go to North Korea. STOCKHOLM – Sweden’s Foreign Ministry says an American citizen was arrested in North Korea and that Swedish diplomats are representing the U.S. in the case. He told the AP on Tuesday that Sweden is dealing with North Korean authorities on behalf of the U.S. in the case. Zetterman wouldn’t give the name of the American citizen or discuss the circumstances or date of the American’s arrest, referring questions to the U.S. State Department. The Swedish Embassy in Pyongyang represents the United States because the U.S. doesn’t have diplomatic relations with North Korea. I mean, what’s in North Korea that anyone would want to see?